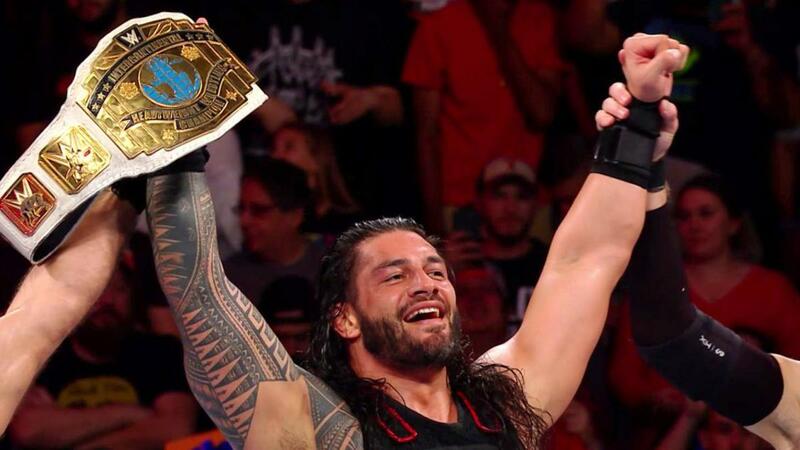 In another milestone for his career, Roman Reigns won the Intercontinental Championship for the first time on Monday's episode of Raw. Reigns challenged The Miz for the title in the main event, pinning him after hitting a spear. Cesaro and Sheamus distracted Reigns and set up a spot where Miz got a near fall with the Skull Crushing Finale, but Seth Rollins and Dean Ambrose came out to fight them off. The main event had been set up when Rollins and Ambrose accompanied Reigns on Miz TV earlier in the show. Miz said he was the only person in the ring holding a title, with Rollins replying that The Shield would get the Tag Team Championship back soon and Reigns challenging Miz. Now that he's Intercontinental Champion, Reigns has completed WWE's Grand Slam of title wins. He's previously held the WWE, United States, and Tag Team titles in his career. With no Raw-exclusive pay-per-views scheduled before the Royal Rumble, Reigns could be Intercontinental Champion heading into that PPV. Dave Meltzer has reported that Brock Lesnar vs. Reigns for the Universal Championship is tentatively scheduled to main event WrestleMania 34.